You can make your own wine bottle covers out of fabric and ribbon to give as a unique gift. A wine bottle cover is a much better gift idea than giving someone an unadorned wine bottle or handing it to them in a paper bag, and wine connoisseurs will especially appreciate the special touch. Measure the height of the bottle with a piece of string. Add 6 inches to that length of string and cut it. Tie the end of the string loosely to the middle of a pencil. Place the fabric pattern upside down on a tabletop. Stand the pencil in the middle of the spread out piece of fabric and tie the fabric chalk to the other end of the string. Pull the string taut and draw a circle around the pencil onto the fabric. Cut the circle out of the fabric and sew a 1/2-inch hem around the perimeter of the circle. Place the wine bottle in the center of the fabric. 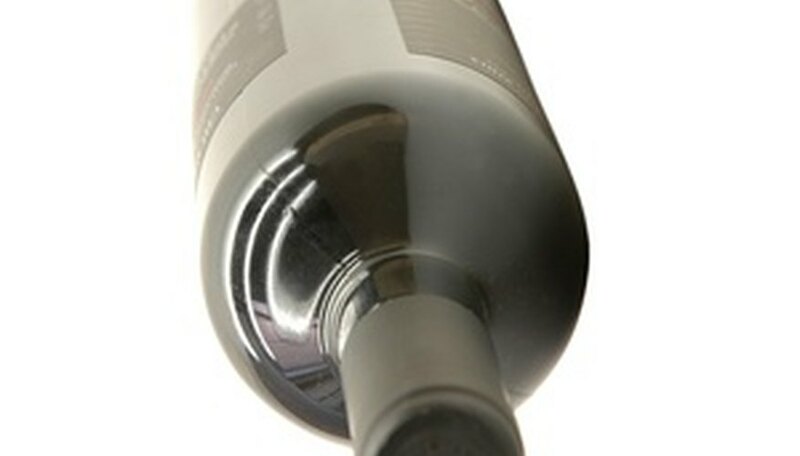 Gather up the edges of the circle so that it wraps around the outside of the bottle. Secure it in place by wrapping a ribbon around the neck of the bottle and tying a bow. Tie a sprig of dried flowers on with ribbon for an extra decorative touch.